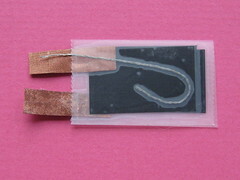 An experiment in how to apply and adapt the stroke sensor principal to be worn and operated on the body. 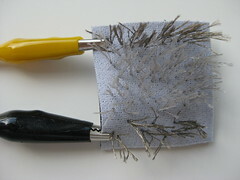 Using metal pins as conductive fur to construct a pokey stroke sensor. 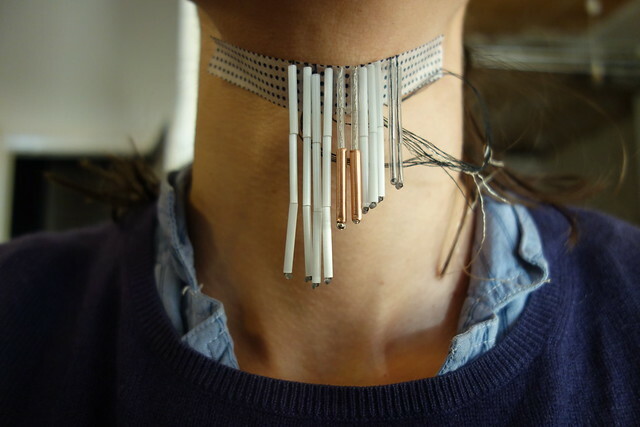 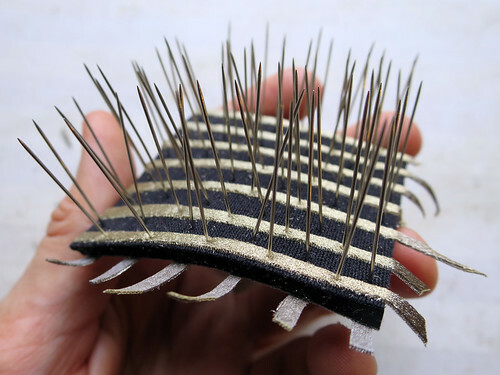 Experiments in creating spiky stroke sensors from pins…. 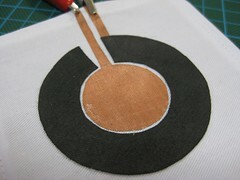 Sewing or fusing the conductive traces directly onto the piezoresistive fabric. 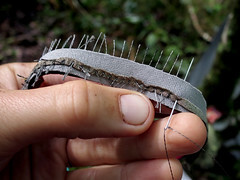 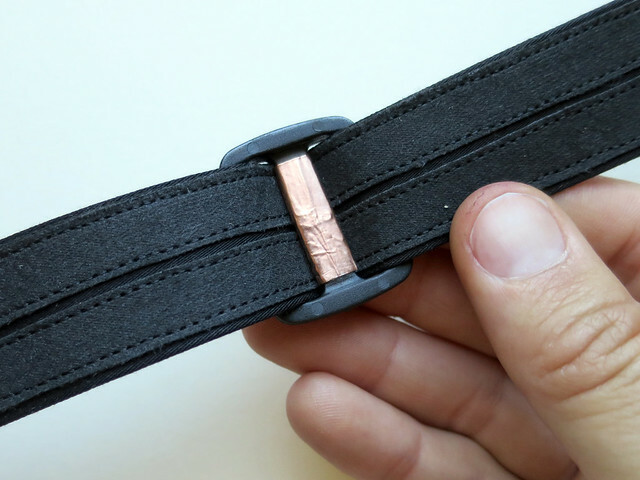 Using a strap adjuster to slide along two parallel resistive tracks, making contact between them and varying the amount of resistance between their ends. 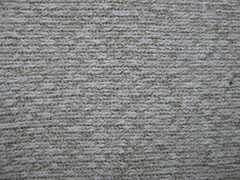 Wimper in German translates to “Eyelash”. 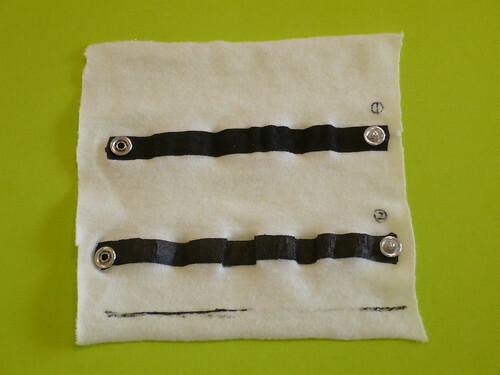 This contact switch is made from conducive thread stitched into neoprene to create “lashes” that hover over a band of silverized nylon stretch conductive fabric. 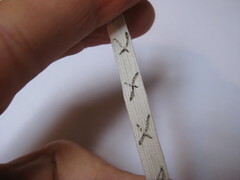 Contact between a lash and the band closes the switch. 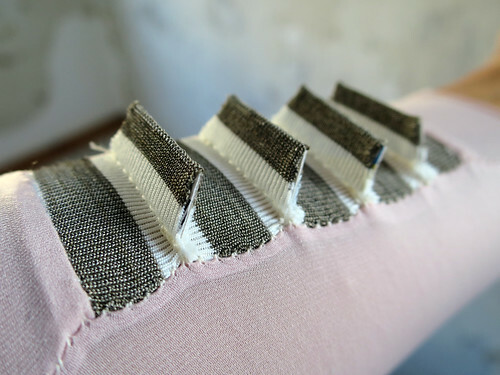 To make custom fabric pressure sensors that react to even the lightest touch. 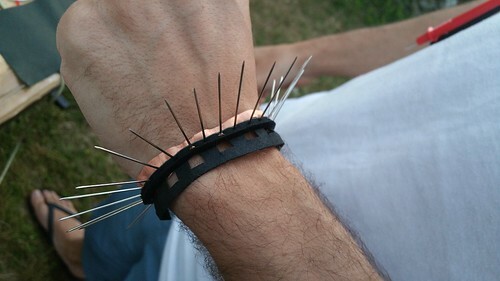 Ideally less than 10g of force. 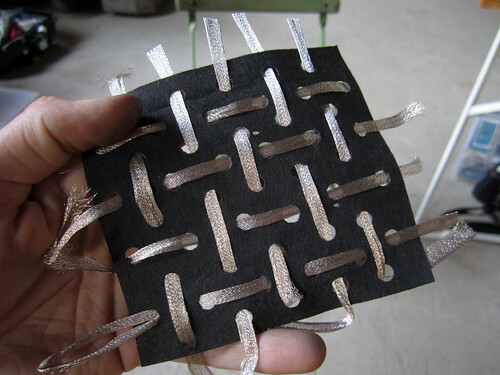 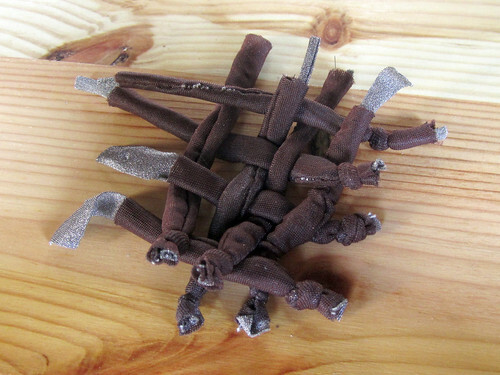 Attempts to 3D print a variety of sensors from conductive ABS material in collaboration with FabLab Berlin. 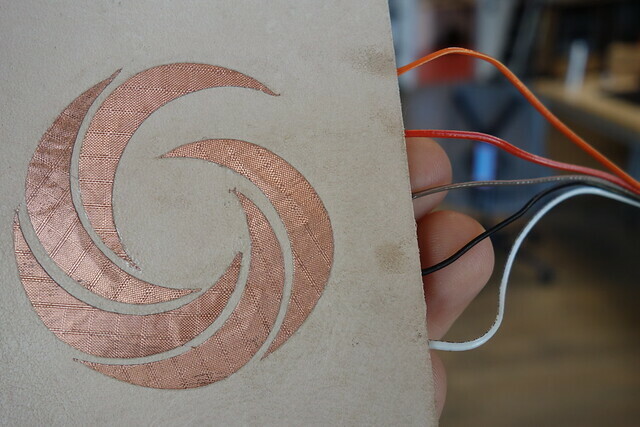 Interestingly the resistance of the material decreases when bent, implying that the electrical connections are being broken in the material because it is being stretched or damaged. 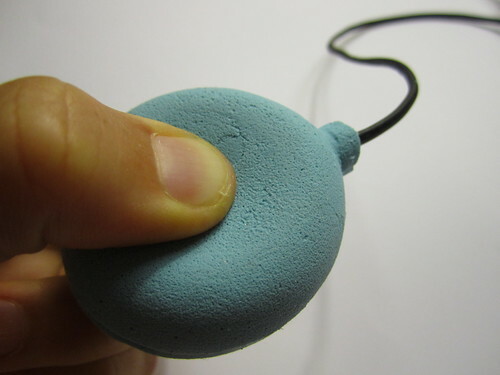 When pressured the resistance through the material decreases. 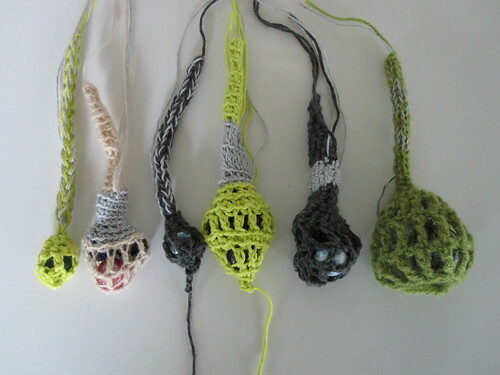 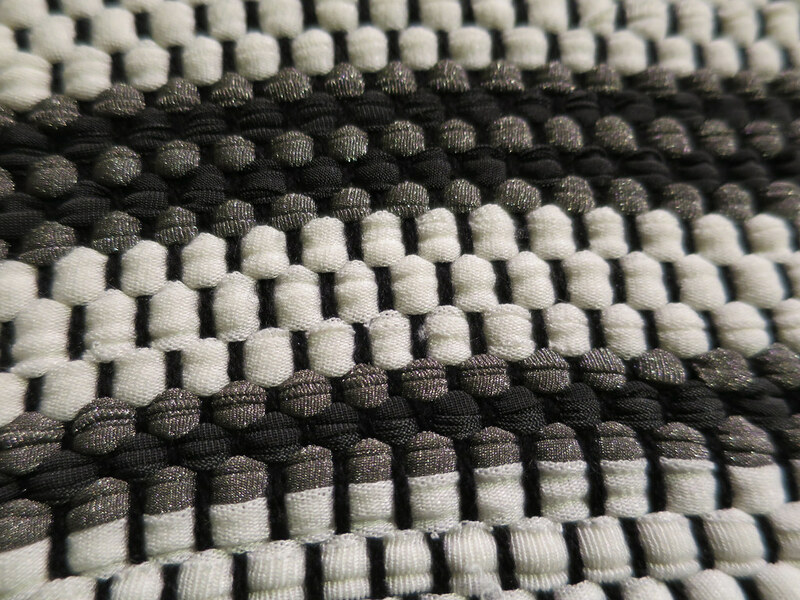 A series of balls knit on double-bed flat-bed knitting machine that incorproate conductive and resistive yarns to allow them to be stretch, pressure, scrunch and touch sensitive. 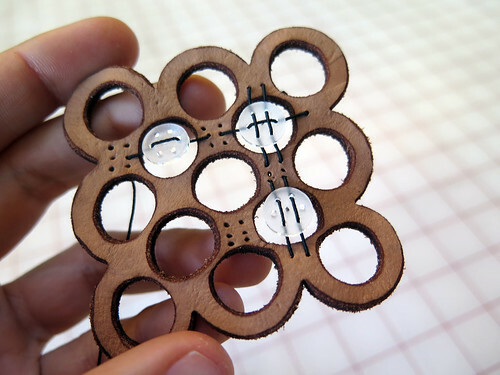 Using lilypad Arduinos with FTDI and USB cables as well as ATtinys with Bluetooth to send sensor data to computer for visualization and sound feedback. 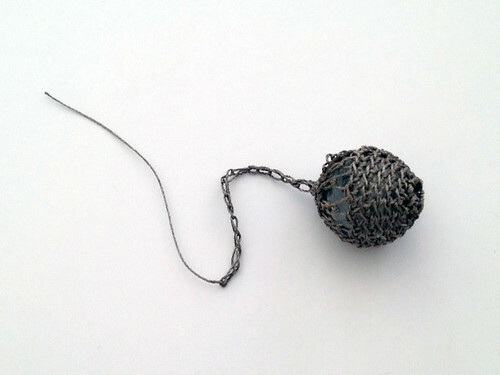 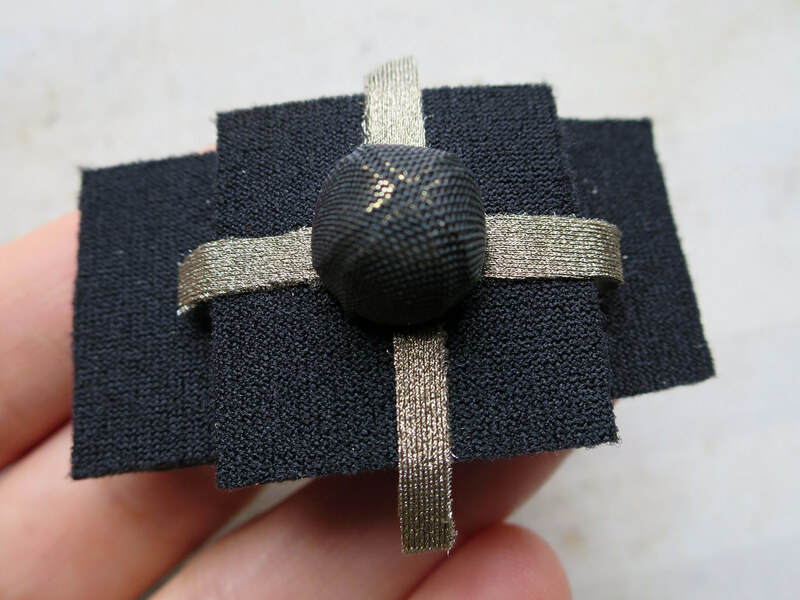 If you don’t have a heavy metal bead at hand to make a Fabric Tilt Sensor with, you can make a heavy conductive bead by crocheting conductive thread around a glass marble. 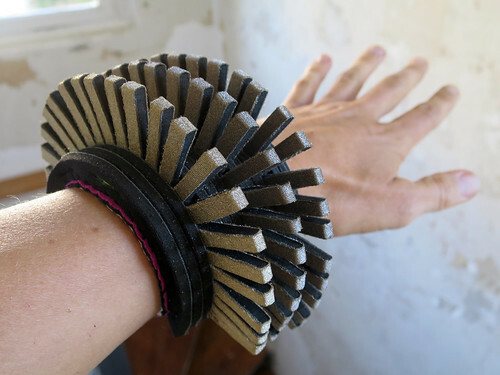 Using resistive yarn to detect movement and angles of the wrist. 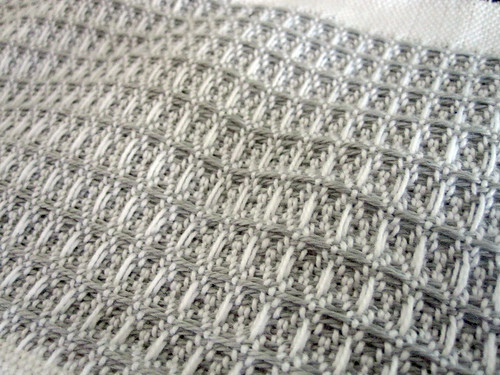 Interweaving layers of conductive fabric, non-conductive fabric, velostat or Eeontex to create a pressure sensitive matrix/grid. 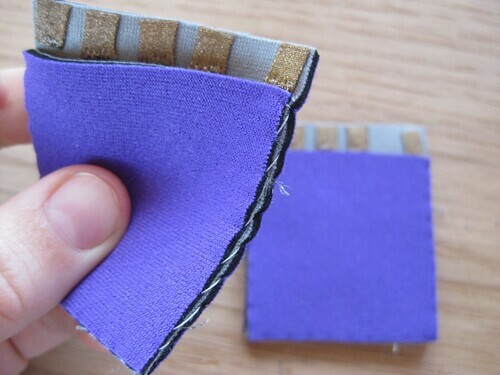 This fabric touchpad was inspired by the properties of piezoresistive materials to measure both amount of pressure applied through the materials and increase of resistance across distance. 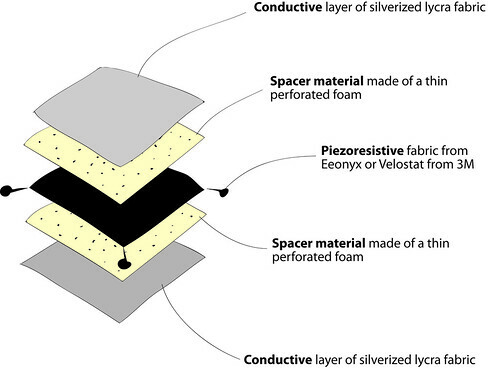 It is made by layering piezoresistive material between two conductive layers and using the piezoresistive layer to alternatively measure position and pressure. 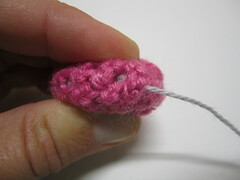 This squeeze sensor can be made by knitting or crocheting a ball including resistive yarn. 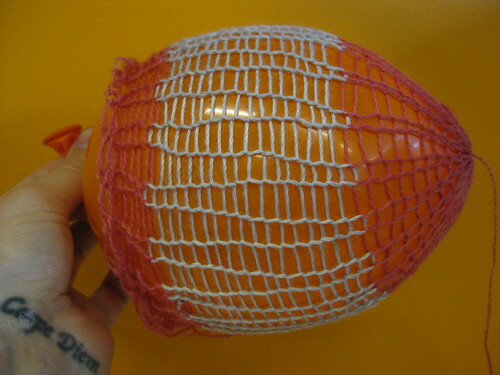 The ball can then be stuffed with different materials to achieve different kinds of squishiness. 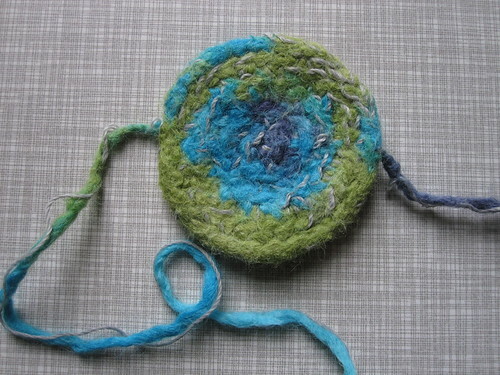 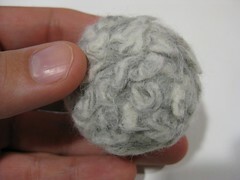 The ball can also be hand or machine felted, giving the surface a more uniform appearance. 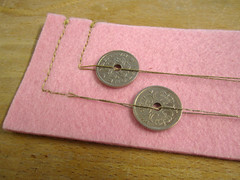 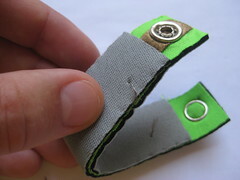 By using high-resistance conductive thread instead of conductive fabric, you can make a slider (potentiometer) with zippers. 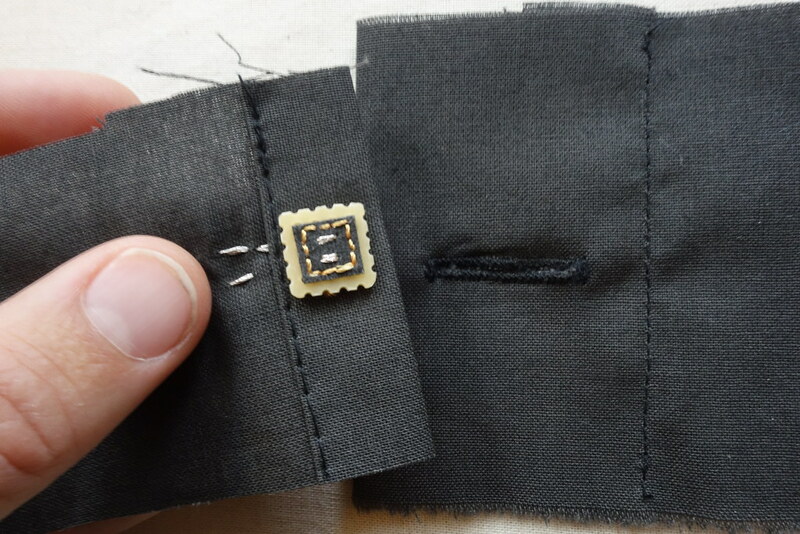 Unlike zipper switch, this sensor gives analog values instead of “ON/OFF”. 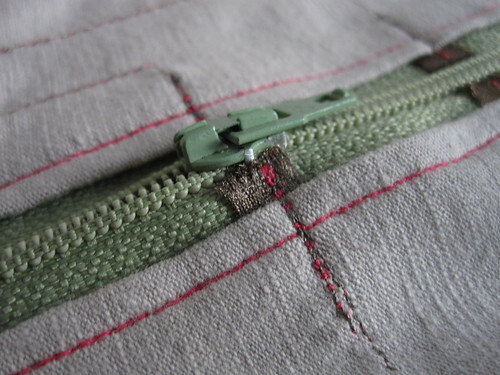 A Zipper is a great clothing material that can be converted into sensors. 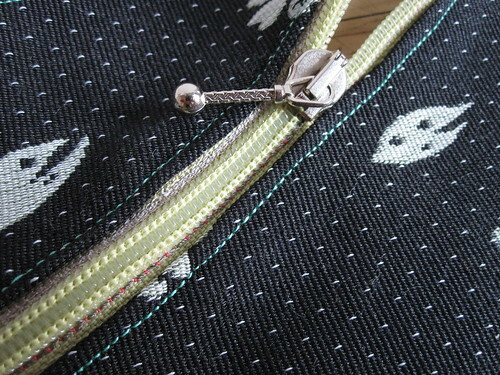 Zipper switch is a known technique used in many projects like TV-B-Gone-Hoodie by Becky Stern. 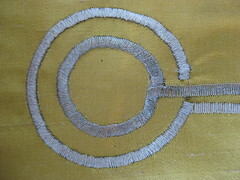 It is also introduced in “Fashioning Technology” book by Syuzi Pakhchyan. 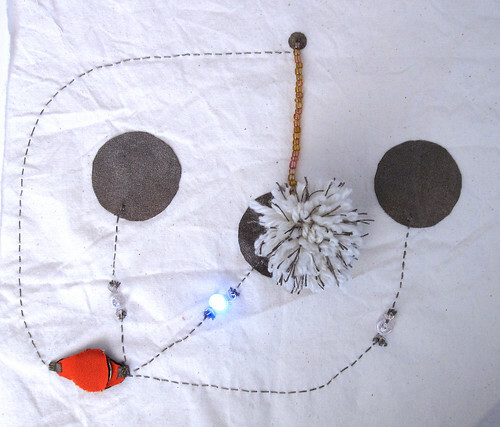 This is a combination of conductive pompom and tilt sensor. 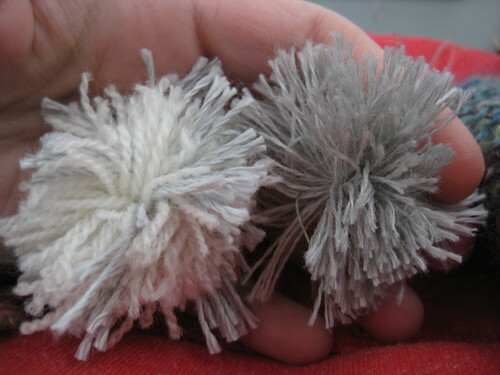 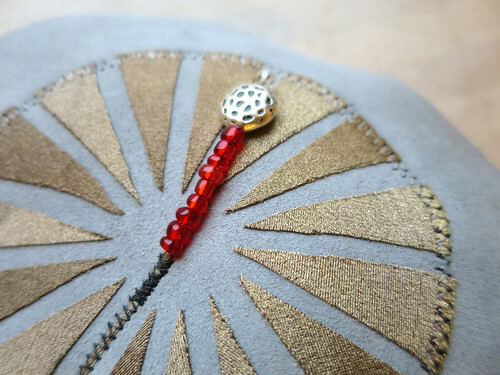 The advantage is that the pompom has much bigger and softer surface than metal bead, which helps for it to touch the tilt detecting conductive fabric. 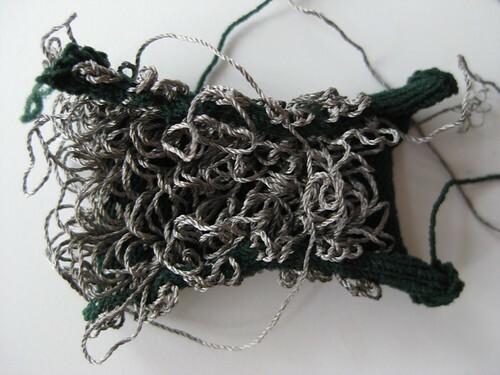 Also it gives a certain look, that may be desired for some projects. 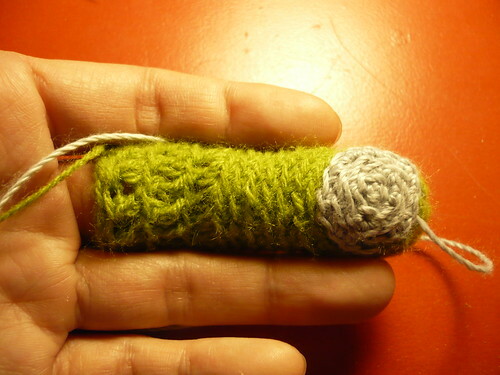 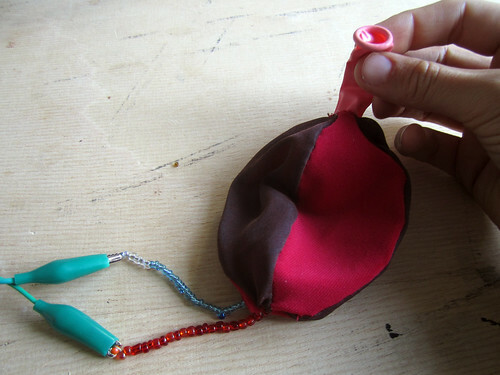 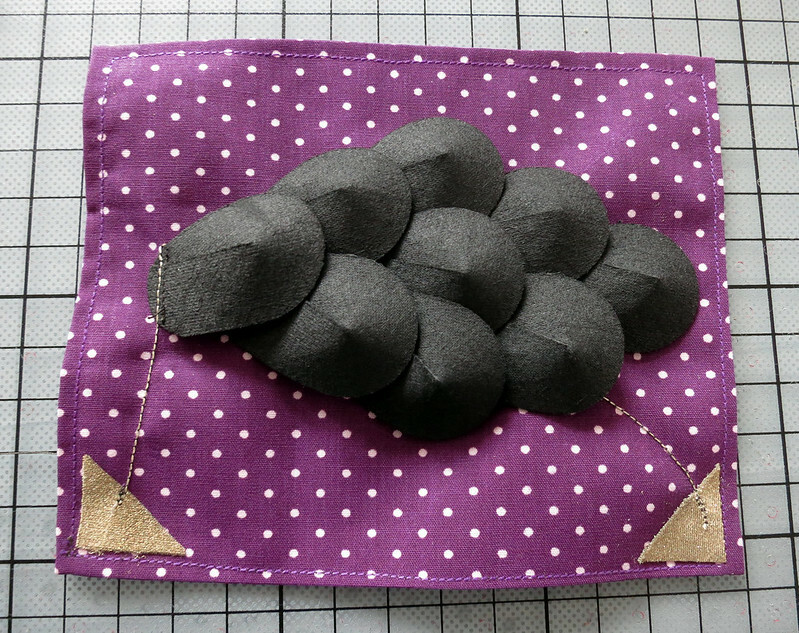 also see: conductive pompom, pompom tool Make pressure sensor ball by felting a pompom composed of wool and conductive steel fibers. 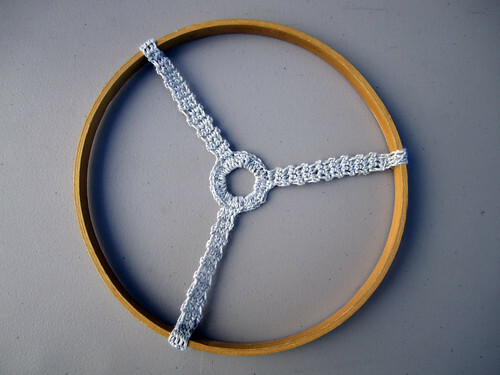 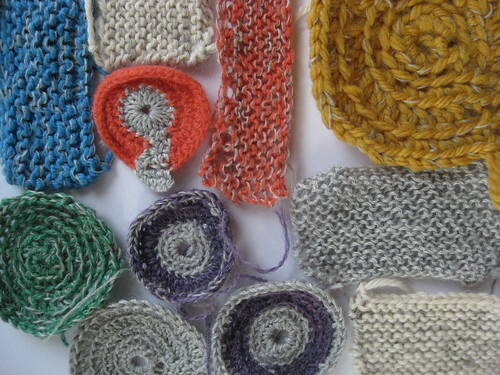 Use of a circular knitting machine to knit a circular stretch sensor from combinations of conductive and non-conductive yarns. 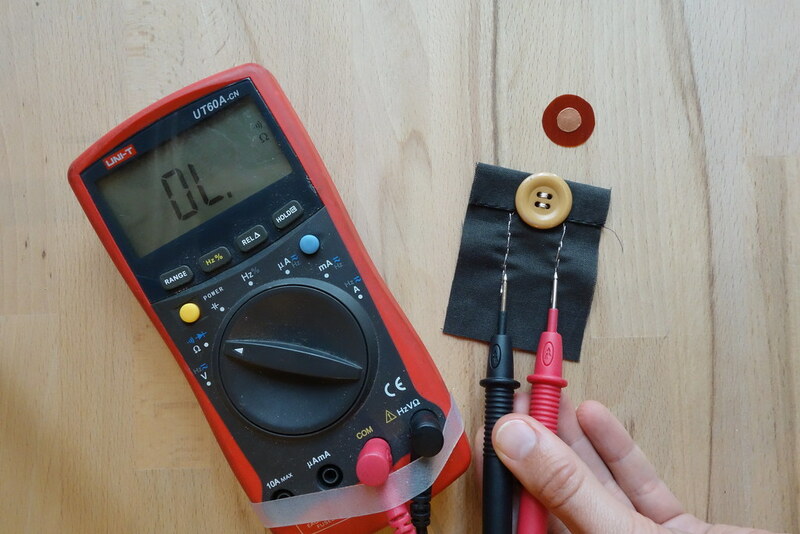 Using the circular knitting machine to knit a circular tube with the Schoeller 50/2 conductive yarn, makes for an excellent stretch sensor that can be used (among other things) to capture the pressure of a balloon inflating and deflating. 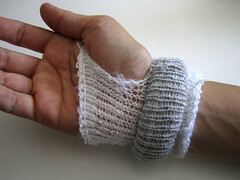 Because of the properties of the conductive yarn to be sensitive to pressure or stretch it can be knit or crochet into any shape and will react to to pressure with a decrease in resistance. 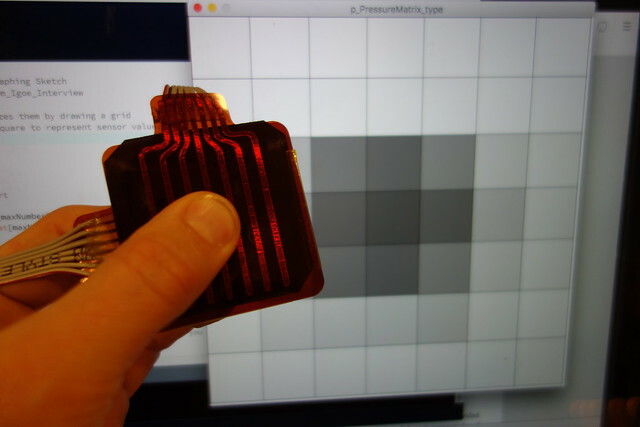 By setting a threshold in software this sensor can also be used as a switch. 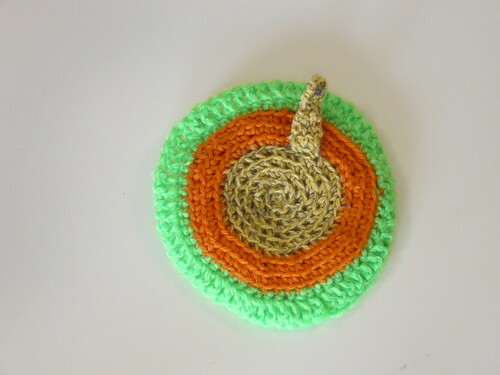 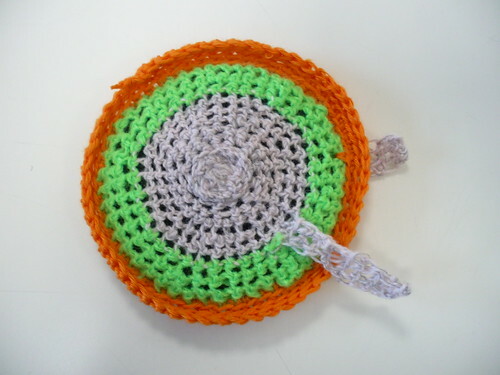 By using conductive yarn as electrodes, you can create a simple button with crochet. 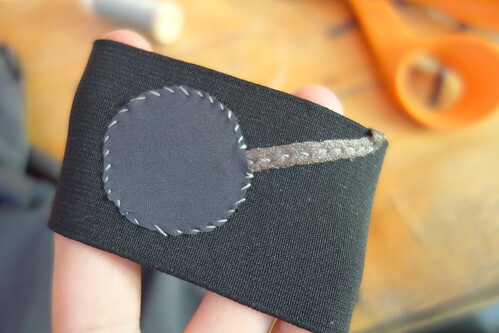 The construction idea is very similar to fabric button. 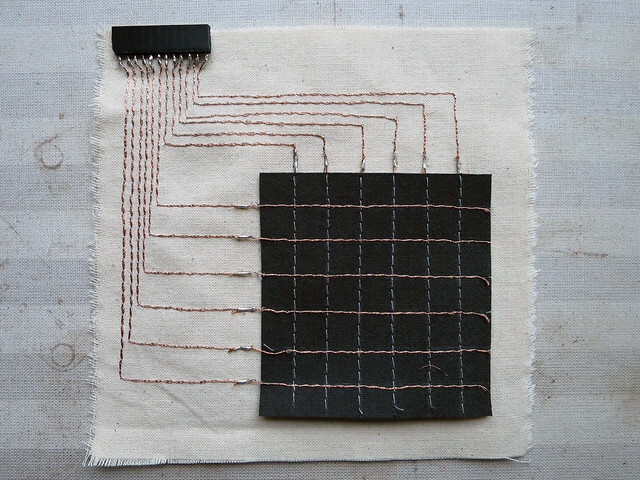 Combination of tilt sensing and potentiometer using regular wool and conductive wool from Schoeller. 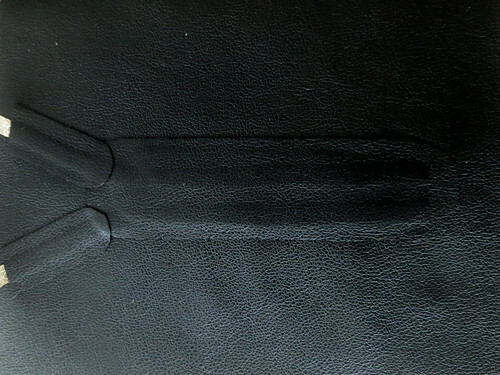 The experiment results of carbon paint painted on various stretchy fabrics. 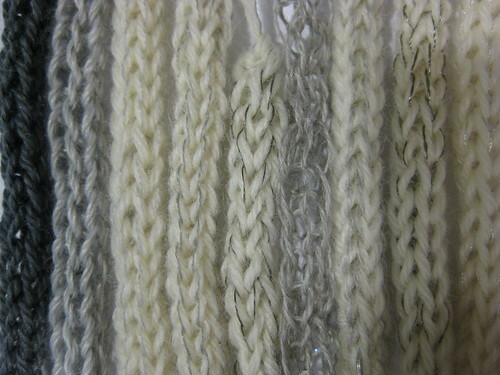 It shows resistance difference when stretched. 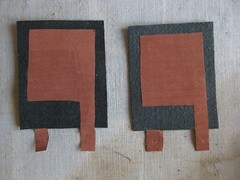 The paints are applied by simple stencil method with sticky tapes. 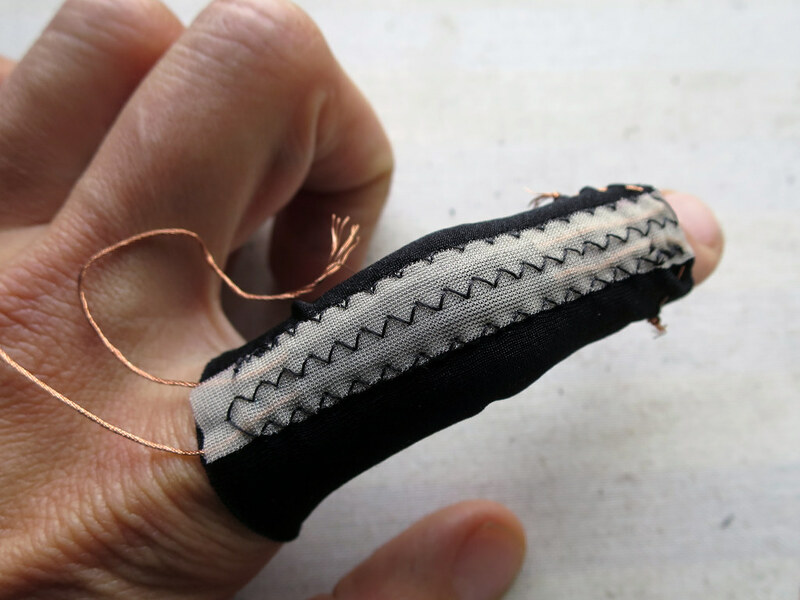 I have tried various methods, such as knitting and stitching with resistive thread, applying carbon paint to jersey, mixing conductive fibers with stretchy fabric glue, stretching various conductive materials to see if this changes their conductive properties… and some of it worked, sometimes inconstantly or even incoherently or just wore out over time too quickly. 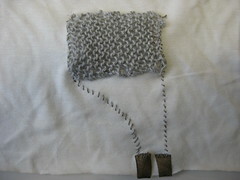 WORK IN PROGRESS Exploring different possibilities to knit stretch sensors. 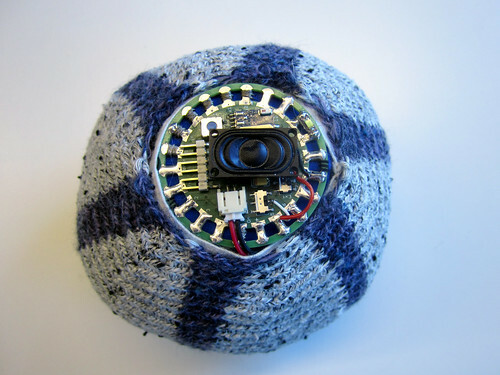 This sensor is the very first example of something I made with the circular knitting machine. 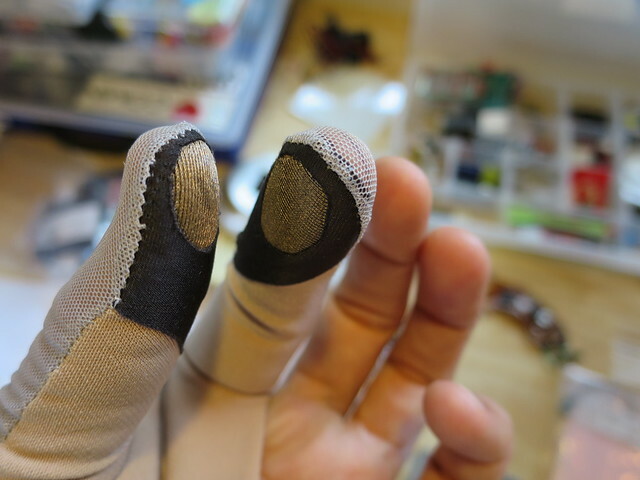 Four separate pressure sensors not only give feedback about where I’m pressing, but also how hard. 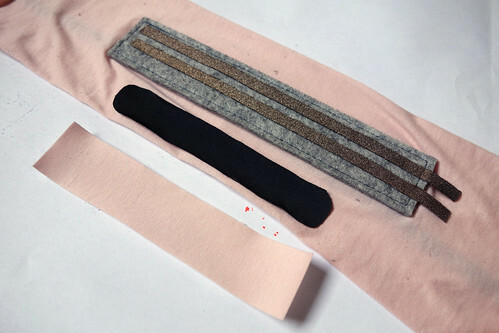 Creating stretch sensors from stretchy fabrics that have conductive/resistive properties that change depending on the stretching of the fabric. 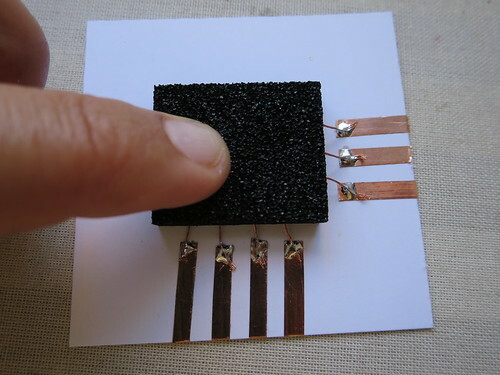 I’m hoping this will allow to make super simple stretch sensors and lead to other interesting possibilities. 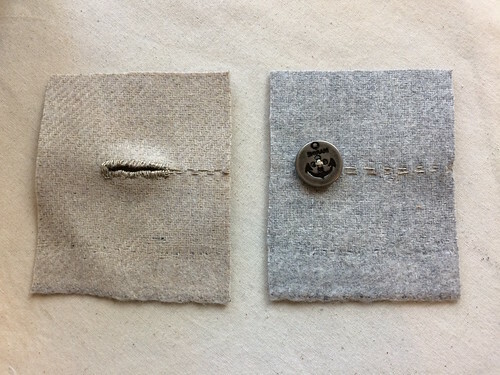 also: soft button, textile button, soft switch These super simple fabric buttons are soft, fun to push and can come in handy when building various prototypes. 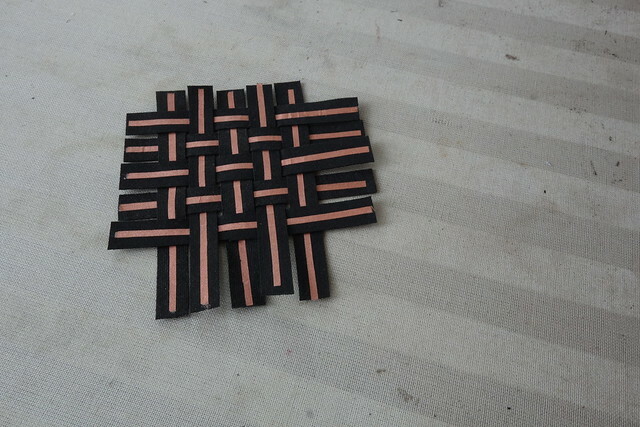 They all share the same ground or plus, depending on what you hook what up to. 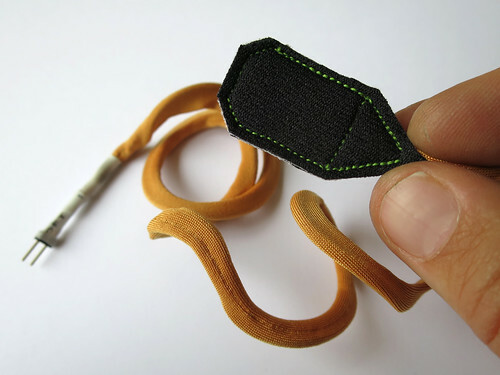 also: neoprene bend sensor, conductive thread Bend Sensor, Bend Sensor (thread) This bend sensor actually reacts (decreases in resistance) to pressure, not specifically to bend. 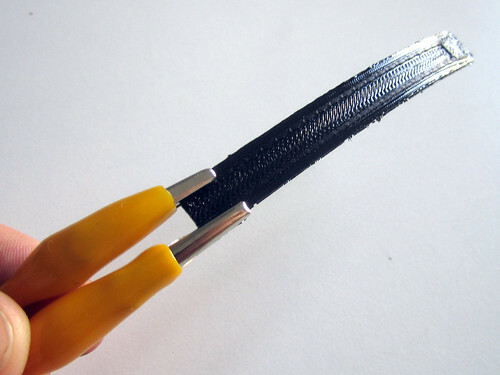 But because it is sandwiched between two layers of neoprene (rather sturdy fabric), pressure is exerted while bending, thus allowing one to measure bend (angle) via pressure.